John E. Ponder is a partner in the Real Estate, Land Use and Environmental Practice Group in the firm's San Diego office. Mr. Ponder specializes in the representation of clients involved in real estate development. His practice focuses on advising and representing major residential, industrial, commercial, Native American Indian tribes, and renewable energy developers through all phases of the land use regulatory process and environmental compliance. His land use experience includes real estate due diligence investigations, negotiating and drafting development agreements, processing land use entitlements, advising tribal governments on environmental and natural resources law, and appearing before governmental agencies and commissions. Real estate development has grown increasingly complex and controversial requiring knowledge of applicable federal, state and local laws, as well as the ability to work with a wide range of diverse interests including governmental agency staff, elected officials, landowners, environmental organizations and citizen groups. Mr. Ponder's ability to work with such diverse interests to develop creative, practical and economical solutions is demonstrated by his involvement in the successful approval and permitting of thousands of residential units during the past several years. Most of these residential units were master planned projects in the communities of Sabre Springs, Mira Mesa, Carmel Valley, and Otay Mesa in the City of San Diego. Current projects include redevelopment, infill and mixed use developments in northern, southern, and eastern San Diego County, as well as an additional 3,500+ residential units in the Otay Mesa and Mira Mesa Community Planning Areas in the City of San Diego. Mr. Ponder has assisted clients in obtaining permits and approvals from various federal agencies including the U.S. Army Corps of Engineers (ACOE) and U.S. Fish and Wildlife Service (USFWS). He has successfully guided clients through the maze of state and local environmental clearances necessary for development including the requirements of the California Environmental Quality Act (CEQA), California Fish and Game (CDF&G) 1602 Streambed Alteration Agreement, Tribal-State Compacts, and the City of San Diego Multiple Species Conservation Program (MSCP). His working knowledge of environmental constraints and the development process proves invaluable when investigating the potential purchase of real estate and the subsequent preparation of acquisition documents. An experienced litigator, Mr. Ponder has handled actions involving development disputes, condemnation, environmental compliance, real estate transactions, and construction defect. He has managed complex civil litigation for several residential developers and defended challenges to development approvals. Mr. Ponder was lead counsel in the recent CEQA litigation appellate court decision, Citizens for Responsible Equitable Environmental Development (CREED) v. City of San Diego regarding a challenge to an addendum to an EIR involving water supply assessments, greenhouse gas emissions, and exhaustion of administrative remedies. Mr. Ponder's practice includes strong ties to the local, state and national Building Industry Associations. The Building Industry Association of San Diego County (BIASD) is the largest independent chapter of the California Building Association (CBIA). BIASD works closely with CBIA and the National Association of Home Builders (NAHB) on issues related to housing, environmental reform, streamlining permit processing, reducing building fees and construction dispute resolution. The existing relationship with these associations provides continued involvement in the latest issues which impact the development industry. Mr. Ponder has been active in a variety of civic committee meetings regarding natural resources, employment and real estate development. 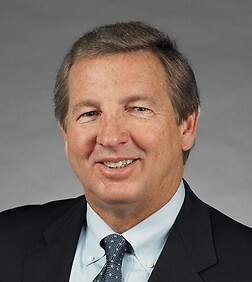 He has participated in the preparation and implementation of local legislation regarding the Multiple Species Conservation Plan, revisions to the Environmentally Sensitive Lands Regulations to allow impacts to wetlands, updates to the City of San Diego Zoning Code and the Equal Employment Opportunity Ordinance. Mr. Ponder worked with the San Diego Association of Governments (SANDAG) Employment Lands Inventory Committee to examine issues surrounding the supply and demand of land that will be available for development of office, industrial and research and development facilities. He also worked with SANDAG's Quality of Life Stakeholder Working Group, which provides input on Quality of Life Funding Strategy. Mr. Ponder has been appointed by the San Diego County Regional Airport Authority to the Airport Land Use Compatibility Plan Technical Advisory Group (ATAG). The goal of the ATAG is to enable interested parties to express their concerns regarding the preparation of Airport Land Use Compatibility Plans being prepared for San Diego County airports. Mr. Ponder is a member of the Finance Committee for San Diego Mayor Elect Kevin Faulconer and Council Member Lorie Zapf. Mr. Ponder is a registered lobbyist with the City and County of San Diego and the San Diego County Regional Airport Authority. Martindale-Hubbell Law Directory AV rating. This is the highest rating given to a select group of attorneys who have been recognized by their peers for their legal expertise and professional reputations. La Costa Town Square - 80-acre mixed-use center in Carlsbad, California, consisting of retail, warehouse, office, affordable apartments and condominiums. Land use matters and entitlements include environmental impact report (EIR), General Plan Amendment, Master Tentative Map, conditional use permit and Hillside Development Permit. Vallecitos Water District Capacity Fee Repeal - Provided the Mitigation Fee Act legal analysis that forced Vallecitos Water District to repeal its ordinance for an extra capacity fee that saved development projects approximately $45 million. Sheppard Mullin successfully argued that there was no constitutionally-required nexus between the proposed new fee and the water supply impact of the high density development projects because the water district would already collect sufficient funds under the existing capacity fee to pay for new water infrastructure projects to serve the developments. Sears 101 Ranch - 5,968 single-family dwelling units, 1,082 multi-family dwelling units, four schools, extensive park system, and 14.6-acre multi-use site for commercial retail office located on a 1,800-acre site in Imperial County, California. Land use matters and entitlements include EIR, development agreement, specific plan, formation of County Service Area, negotiation for the release of property subject to the Williamson Act, preparation of mitigation plan for the burrowing owl, and negotiation of water rights with the Imperial Water District. University Commons - 416-acre site consisting of 477 single-family dwelling units, 747 multi-family dwelling units, a 12.8 industrial site, and a 2.1-acre commercial site located in San Marcos, California. Land use matters and entitlements include EIR, defense of challenge to EIR, development agreement, tentative map, specific plan, ACOE 404 Permit, CDF&G 1602 Streambed Alteration Agreement, conservation easements, acquisition of mitigation property, affordable housing agreement, formation of community facility district (CFD), opposition and legal challenge to a referendum, and processing of permits through the Redevelopment Agency. Bull Moose Biomass Energy Facility - The project proposes a facility in the Otay Mesa area of San Diego that will gasify biomass waste products, such as tree trimmings, to produce electrical power, while reducing greenhouse gas emissions and diverting several hundred tons of waste per day away from San Diego area landfills. The matter includes securing the project's local development permits and CEQA certification. St. Jerome's Parish - 17.6-acre site for proposed church, private school and associated facilities in San Diego, California. Land use matters and entitlements include preservation and enhancement of 5.85 acres for a vernal pool preserve, ACOE 404 Permit, USFWS Section 7 consultation related to impacts on the San Diego fairy shrimp, Clean Water Act 401 Water Quality Certification, Caltrans encroachment permit, and conditional use permit. St. Regis Monarch Beach Resort and Spa - 400-room, five-star resort located in Dana Point, California. Land use matters and entitlements include due diligence in connection with foreclosure, including evaluation of maintenance agreements and easements, status of development permits and approvals issued by the City of Dana Point and the California Coastal Commission and compliance with resource permits. Stanford Commons - 19 lot planned residential development for 15 single-family residences on 2.5 acre site in the City of La Mesa. Land use matters and entitlements include tentative ap, planned residential development permit and negative declaration. Otay Canyon Ranch - Proposed very low- to medium-density residential and mixed-use commercial master-planned community with approximately 1,200 to 1,900 dwelling units on a total of approximately 70 acres in San Diego (Otay Mesa), California. Land use matter and entitlements include specific plan, vesting tentative map, site development permit and EIR. Waterpoint Townhomes - 36 residential condominiums and 10 commercial condominiums on a 1.65 acres site in the City of San Diego (Point Loma). Land use matters and entitlements include site development permit, coastal development permit, tentative map and mitigated negative declaration. Florida Street Apartments - School fee protest against the San Diego Unified School District and the City of San Diego. Mayberry Apartments - Purchase of 70-unit apartment complex. Keeler Court - Purchase of 1.57 acre site. Arizona Street - Cell tower license agreement with T-Mobile. Howard Street - Negotiation and preparation of Parking Lot License Agreement. San Diego Peaker Power Plant - Assisting Competitive Power Ventures in its effort to develop a 200 MW clean, natural gas peaker power plant in the City of San Diego that would utilize recycled water to fulfill its process water demands. Clovis Northeast Urban Center - 1,000-acre site in County of Fresno, California. Land use matters and entitlements include proposed master planned community, negotiation and preparation of agreement between developers to fund and prepare technical studies for EIR, General Plan Amendment, annexation, resource permits, and specific plan. Lonestar Ridge - Proposed low- to medium-density residential master-planned community with up to 1,067 dwelling units on a total of 87.6 acres in San Diego, California. Land use matters and entitlements include EIR, tentative map, general plan and community plan amendments, airport consistency determination from San Diego County Regional Airport Authority, ACOE 404 Permit, California Regional Water Quality Control Board Section 401 Certification, and multiple habitat planning area (MHPA) boundary adjustment. Miller/Barioni - 100-acre mixed-use project located in Imperial County (Brawley), California. Land use matters and entitlements include negotiation and preparation of agreement between developers to fund and prepare technical studies for EIR, Service Area Plan, Sphere of Influence amendment, general and specific plan amendments, compliance with tentative map conditions, and preparation of reimbursement agreement for construction of water facilities. Robinhood Ridge - 204-acre project with 520 single-family dwelling units and 178 multi-family dwelling units, located in San Diego (Otay Mesa), California. Land use matters and entitlements include defense of stop work order and compliance with federal court decision enjoining impacts to vernal pools. Old Creek Ranch - 400 unit condominium project in the City of San Marcos. Land use matters and entitlements include amendment and extension of development agreement and compliance with affordable housing requirements. Del Mar highlands Town Center - Demolition of 41, 800 square feet of existing retail and addition of 129,000 square feet of new retail and addition of 846 parking spaces in new parking structure in the City of San Diego. Land use matters and entitlements substantial conformance review of Planned Development Permit. Camino Ruiz Signal - Land use and entitlements include negotiation and preparation of cost-sharing agreement for the construction of a traffic signal, compliance with tentative map and site development permit conditions, and obtaining credit for payment of facility benefit fees. Candlelight Villas - Proposed medium-density attached residential and retail commercial/mixed-use project on 50.7 total acres, located in San Diego (Otay Mesa), California. Land use matters and entitlements include community plan amendments, satisfying vernal pool mitigation requirements, reviewing CEQA documentation, and negotiating sewer improvements with the City of San Diego. Carmel Valley Trunk Sewer - Land use and entitlements include negotiation and preparation of participation agreement for the design and construction of a trunk sewer, mitigated negative declaration, coastal development permit, condemnation for right-of-way, advice regarding prevailing wage and compliance with equal opportunity employment program, and defense of litigation regarding alleged trespass and nuisance arising from the discharge of groundwater. Hidden Trails - 207.7-acre site, 205 single-family dwelling units, 180 multi-family dwelling units, and neighborhood park located in San Diego (Otay Mesa), California. Land use and entitlements include tentative map, EIR, and compliance with resource permits. Detention Facility - Permitting and construction of 200,000 square-foot detention facility on a 645-acre site in Imperial County. Land use matters and entitlements include specific plan, issuance of CEQA notice of exemption and master building permit. Esplanade - Proposed mixed-use project with up to 1,530 attached residential dwelling units and small commercial elements on a total of approximately 72 acres in San Diego (Otay Mesa), California. Land use matters and entitlements include EIR, tentative map, negotiation with Caltrans for freeway right-of-way, and community plan amendment converting use from commercial to residential. Grand Caribe/Coronado Cays - 5.4-acre site for proposed development of 180 luxury hotel suites and related resort amenities, including dining facilities, shops and marina, located in Coronado, California. Land use matters and entitlements include amendment to Port District lease, coastal development permit, compliance with CEQA, and permitting condo-hotel units within tideland properties that are restricted by the Doctrine of Public Trust and navigation rights. Regents Park - This site consists of approximately 8 acres on which are constructed 800+ apartment units, located in San Diego (University Town Center), California. Land use matters and entitlements include negotiation and preparation of purchase and sale agreement, due diligence investigation for condo conversion project, compliance with Department of Real Estate disclosures and Subdivision Map Act, and preparation of reciprocal easements and cost-sharing agreement. La Jolla Centre III - 15 story office building on 5.29 acre site in the City of San Diego. Land use matters and entitlements include compliance with environmental mitigation measures including acquisition of mitigation credits and negotiation and preparation of Covenant of Easement for Protection of Sensitive Resources. Mission Gorge Quarry - This site consists of approximately 420 acres on which JJB Land Company and its affiliate Superior Ready Mix are engaged in mineral extraction in the Mission Gorge area of San Diego. Land use matters and entitlements include EIR, tentative map, habitat management plan, Disposition and Development Agreement, school mitigation agreement, review of wetlands delineations, negotiation of reimbursement agreements, advising on strategies for obtaining the highest and best future use of the site in the context of the existing reclamation plan, and conditional use permit. The Crest/Shady Grove - Single-family residential development in San Diego County, California. Land use matters and entitlements include encroachment permit, slope easement, right-of-entry permit, and resolution of issues regarding impacts to environmentally sensitive areas. University Commons Planning Area 1 - 20-acre site allowing for multiuse of 165,000 square feet of commercial use, or 300 multi-family dwelling units. Land use matters and entitlements include Site Development Permit, negotiation and preparation of affordable housing agreement, and financing of public infrastructure. Hotel Del Coronado - 30-acre hotel site consisting of guestrooms, condo-hotel units, conference center, retail space, and main building designated a California Historical Landmark. Land use matters and entitlements include Master Plan, Coastal Development Permit, Amendment to Development Agreement, Addendum to EIR, and tentative map for condo-hotel. San Diego Doubletree Resort - Redevelopment of existing golf course and club house and the addition of approximately 200 single family homes on a 127 acre site in the City of San Diego. Land use matters and entitlements include community plan amendment, rezone, conditional use permit, easement vacation, waters supply assessment and EIR. Solar Energy Center South and West Imperial Valley - Development of two photovoltaic solar farms on approximately 2,000 acres in Imperial Valley, California. Land use matters and entitlements include preparation of EIR/EIS, farmland conversion, and wetlands and endangered species, including burrowing owl and flat-tailed lizard. Otay Mesa Community Plan Update - A coalition of seven developers working with the City of San Diego to update the Otay Mesa Community Plan and to coordinate the entitlement process for approximately 8,000 residential units. Land use matters and entitlements include preparation of a program EIR, collocation/conversion of industrial land to residential use, resolution of potential impacts of diesel particulate matter due to sensitive receptors near freeways with California Air Resources Board, and implementation of financing mechanisms for construction of public infrastructure, including CFD, facilities benefit assessment (FBA), and infrastructure financing district (IFD). U.S. – Mexico Cross Border Terminal - Assisting Otay-TJ Venture, LLC, an affiliate of Chicago -based Sam Zell's Equity Group Investments in their efforts to develop the next land port to facilitate cross border transportation between the United States and Mexico in the Otay Mesa area of the City of S an Diego. The approximately 56 acre-site would provide both the cross border terminal facilities and office and commercial uses to serve this future commerce hub. The project has secured a Presidential Permit from the Department of State and efforts have now turned to securing the necessary CEQA approvals, development permits from the City of San Diego and the resource permits from various state and federal agencies. Warner Springs Ranch Resort - Redeveloping existing resort, village commercial, private airport and golf course and the addition of 700 dwelling units on the 2,885 acre site in the County of San Diego. Land use matters and entitlements include specific and general plan amendment, tentative map, rezone, major use permit, formation of a mitigation bank and EIR. California Terraces - 665-acre project with 1,200 single-family and 3,000 multi-family dwelling units, a 20-acre commercial site, 2 parks, and elementary and middle schools, located in San Diego (Otay Mesa), California. Land use matters and entitlements include EIR, ACOE 404 Permit, USFWS Section 7 consultation, precise plan, CDF&G 1602 Streambed Alteration Agreement, school mitigation agreement, reimbursement agreements for construction of public infrastructure, formation of CFD, implementation of 45-acre vernal pool preserve, preparation of avigation easements, and compliance with affordable housing requirements. Castlerock - 117-acre site, approximately 500 single-family and multi-family dwelling units, located in San Diego (East Elliott), California. Land use matters and entitlements include EIR, ACOE 404 Permit, USFWS Section 7 consultation, tentative map, MHPA boundary adjustment, annexation agreement, compliance with Local Agency Formation Commission (LAFCO) regulations, and acquisition of open space. Dennery Ranch - 245-acre project with approximately 464 single-family and 1,039 multi-family dwelling units, a neighborhood park and an elementary school, located in San Diego (Otay Mesa), California. Land use matters and entitlement include EIR, ACOE 404 Permit, USFWS Section 7 consultation, precise plan, CDF&G 1602 Streambed Alteration Agreement, school mitigation agreement, reimbursement agreements for construction of public infrastructure, and compliance with affordable housing requirements. South Otay Mesa - Proposed low- to medium-density residential and mixed-use commercial master-planned community with approximately 1,500 to 1,800 dwelling units on a total of approximately 330 acres. Land use matters and entitlements include EIR, specific plan, community plan amendment and tentative map. Sunset Pointe/Crescent Heights - Crescent Heights: 185-acre site, 128 single-family dwelling units and 144 multi-family dwelling units. Sunset Pointe: 40-acre site, 36 single-family dwelling units. Land use matters and entitlements include EIR, tentative map, amendment of local coastal program, coastal development permit, and preparation of irrevocable offers of dedication for open space. Representing Rancho Cielo Estates, LTD with the development of a residential project near Del Dios Highway in the County of San Diego. The proposed project is a low- to medium-density residential master-planned community with a village center. Representation includes counseling Rancho Cielo Estates on compliance with the County Code, Subdivision Map Act and CEQA in the client’s efforts to obtain an EIR Addendum, tentative map, specific plan amendment, zoning amendment, and other County approvals. Master Plan Update/Expansion - 26.3-acre site is located in San Diego, California. Land use matters and entitlements include implementation of the Salk Institute Master Plan to expand scientific research facilities. The Salk Institute expansion plan, originally designed by renowned architect Lewis Kahn with input from Jonas Salk, requires approval of a coastal development permit, site development permit, EIR, amendment to existing conditional use permit, historical preservation issues, and MHPA boundary adjustment. University Village Specific Plan - San Marcos City Council unanimously approved a 194-acre specific plan project called University District for Sea Breeze Properties. After five years of planning and review, the project converted the blighted area into a state-of-the-art, high profile, transit-oriented development proposing 2,600 mixed-use residential units, 800 student housing units to serve adjacent California State University San Marcos, 450 room hotel, 638,000 SF general office, 300,000 SF medical office, 1,000,000 SF mixed use retail/commercial, 30,000 SF community/civic, and over 40 acres of parks and open space. Despite its design as a livable, pedestrian-friendly, smart growth, mixed use project along the rail transit Sprinter line in San Marcos that will allow residents and students to live, work, shop and play without excessive automobile use, the project drew the ire of a neighboring property owner and Caltrans. Sheppard Mullin provided the legal analysis to overcome government takings allegations along with CEQA-related water supply, traffic, and easement vacation objections. Sheppard Mullin also counseled the City of San Marcos and the client on how to analyze global warming impacts and to streamline future review of phases of the project. The project represents another example of Sheppard Mullin's experience in entitling the type of smart growth, mixed-use projects that will play an increasingly important role in San Diego County. Gateway Development - This project involves advising on the entitlement process for converting an abandoned drive-in theater site in Chula Vista/National City into a commercial retail shopping center that includes a "big-box" store. Land use matters and entitlements include rezoning the site, processing CEQA documentation, negotiating a tax-sharing agreement between the local governments, and addressing prevailing wage issues associated with the use of redevelopment funds. Performed due diligence on Topaz Solar Farm, a 550 megawatt photovoltaic project in San Luis Obispo County. Due diligence included investigation of federal, state and local land use entitlements, analysis of pending and threatened CEQA/NEPA litigation and assistance in obtaining federal resource permits. Esplanade - 72-acre project designated for commercial and residential development. Land use and entitlements include due diligence regarding the status of permits and approvals, subdivision map waiver and consistency with proposed community plan. Representing the Twenty-nine Palms Band of Mission Indians with the development of a 30,000 square foot casino and related facilities near the City of Twentynine Palms and Joshua Tree National Park in San Bernardino County, CA. The scope of the representation includes counseling the tribe on compliance with the State-Tribe Gaming Compacts, Tribal Environmental Ordinances, and Endangered Species Act in the client’s efforts to obtain a Tribal Environmental Assessment, a Tribal Habitat Conservation Plan, and related United States Department Fish and Wildlife approvals. Successfully represented the Viejas Band of Kumeyaay Indians in its arbitration against the County of San Diego regarding the tribe’s compliance with State-Tribe Gaming Compacts and County-Tribe Compact. The arbitrator found the tribe properly prepared its Tribal Environmental Impact Report for a 128-room, five story hotel to be built adjacent to the tribe’s casino. The team provided the legal analysis to overcome the County of San Diego’s allegations that the Tribe did not include sufficient mitigation measures in the areas of traffic, fire/life safety and groundwater supply to mitigate the project’s off-Reservation impacts.